Join us at the house Upstate International calls home — 9 S. Memminger Street, Greenville, SC 29601 — to take your language skills to the next level. Upstate International’s language classes are unique in several ways. Beginner – Students with little or no knowledge start at Beginner Level I. Students with some knowledge or rudimentary exposure may start at Beginner Level II or III. Intermediate – Students have taken 2-3 years of high school language classes or equivalent skills, may have lived in the country for a few years, and have concrete understanding of the fundamentals. Advanced – Students have extensive experience and wish to advance and improve their language skills. Students focus on advanced grammer and vocabulary. Conversational – Students have extensive exposure to the language and wish to refine conversational language skills and fluency. 2019 Spring Semester Classes . 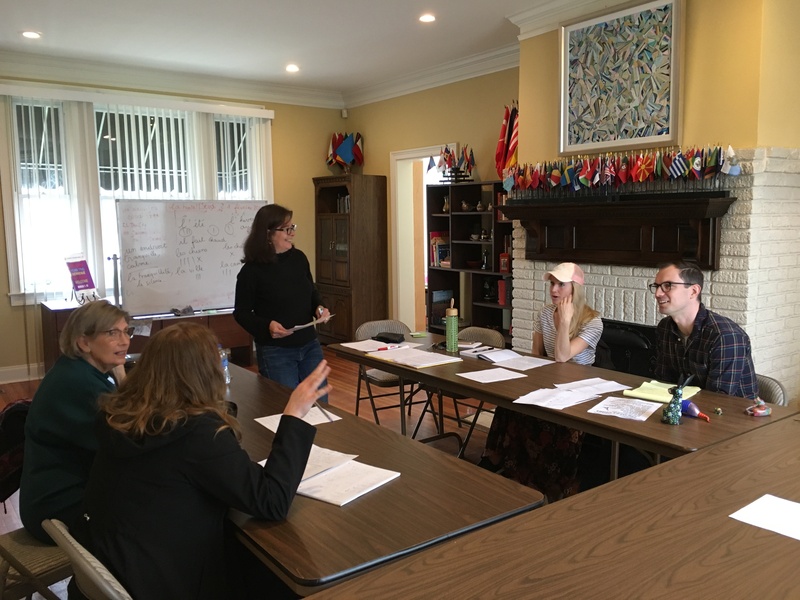 . .
All language classes offered by Upstate International for the current term are available through the link below. Those on our email list will receive notice as soon as the upcoming schedule is posted. To be added to our email list, complete the form at the bottom of this page. Want to learn more before becoming a member? 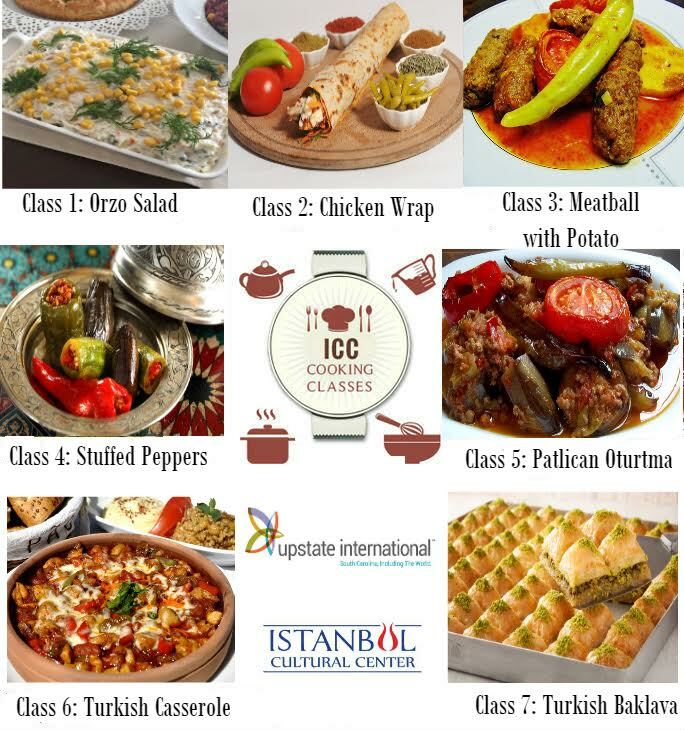 Feel free to visit a class before joining Upstate International and enrolling in the session! Participation requires membership with Upstate International. The support of our members allows us to keep our classes affordable! Language class fees may be paid by credit or debit card online, or by check at our office between 9:00 am and 4:00 pm, Monday through Friday. Classes are generally $65 per 8-week term, $80 per 10-week term, or $95 per 12-week term. Intensive classes are $310 for a 10-week term, or $250 for an 8-week term. For specific pricing details, visit our registration page by clicking the button below. Register as soon as possible. We ask students to register prior to the start of the first class since we must have a minimum number of students to offer the class. If the minimum number is not reached before the class starts, the class may be cancelled. Also, if a class reaches the maximum number, slots are given on a ‘first come first serve’ basis, which means a student who is not registered may not be able to take the class. Students who register in advance are given priority. If there is space available, you may register and give your instructor a check covering your registration fees no later than the first day of class. What if I realize my skills are too advanced or not advanced enough for the class I’m in? Students are welcome to switch to a different class if space is available. Please let the teacher as well as the Upstate International office know which class you would like to switch to, and we can arrange it. You can reach the Upstate International office by sending an email to [email protected]. May I join a class after the session has already started? Yes, students may join a class at any time if there is still space in the class and if they are able to keep up with the class level. Of course, if you join a class late, you may need to study a little more to catch up with the class. Please note that if you join during the middle of a session you will have to pay for the complete session; we will not prorate your class fees. Membership in Upstate International is in essence a charitable contribution and thus is not refundable. Class fees are not refundable but can be transferred to another class or person before starting the class session. The only exception to this policy is if you register in advance for a class that does not meet minimum enrollment and is therefore cancelled. Of course, we will issue you a refund in this scenario. What is your winter weather policy? In the event of dangerous winter weather, Upstate International follows the practice of the Greenville County School District in determining whether to close. Thus, if schools are closed, Upstate International is closed and classes are cancelled. If a weather situation develops during the day, Upstate International will attempt to notify students of schedule changes. If in doubt, follow the Greenville County school closings. What if my class falls on a holiday? Generally we do not hold classes on federal holidays or Greenville County School vacation days. Please ask your teacher about your class’s particular schedule. Classes may be made up through extending class times or rescheduling to a different day, based on the discretion of the teachers. Upstate International is always looking for great volunteer language teachers. The only requirements are that you are a native speaker with a passion for sharing your language and culture with others, and that you are dedicated to providing a quality learning experience for your students. We are always considering talented teachers in any language, so please contact Christine Hofbauer at 864-631-2188 if you are interested and available weekday mornings, afternoons or evenings! I’ve never been a teacher before. Can I still teach at Upstate International? Absolutely. All you need is to be a native speaker and have a desire to share with others your language and culture. Our language classes are 60 or 90 minutes long and last for eight weeks. We suggest that for every hour of classroom time you take an hour to prepare. Using these guidelines, a regular 60-minute language class should take about 16 hours of your time or two hours a week over eight weeks. 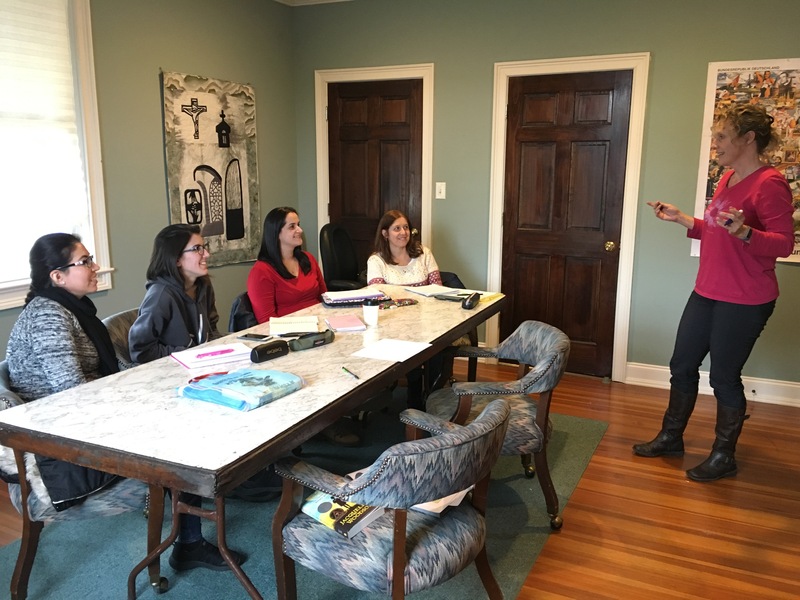 What are the benefits of being a language teacher at Upstate International? Free individual membership to Upstate International (a $50 value). Make new friends and enjoy sharing your native culture and language with others. Free enrollment in any of our regular language classes while you are teaching. Honorarium gift card for each class you teach.